The environmental considerations of roads on peat are much like any other type of roadworks, with a few notable additions. The general environmental considerations of roadworks are discussed in the separate ROADEX elearning lesson. This lesson will concentrate on the particular issues that need to be addressed in roads involving peat. 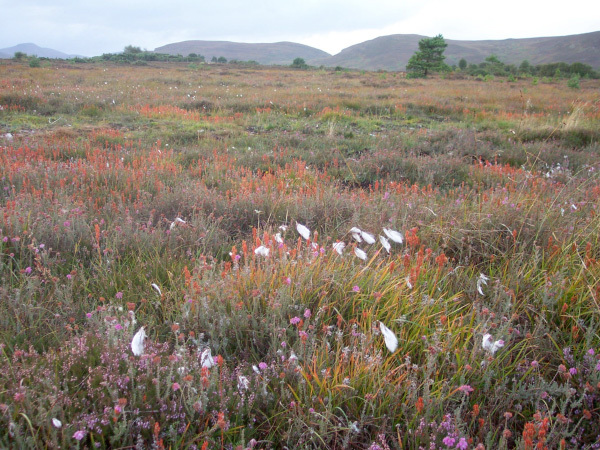 The main issue in all matters concerning peat is the management and protection of the local hydrology, and particularly the movement of water in and over the peat. The importance and the influence of peatland water during and after road construction cannot be overstated. Failure to address this feature will lead to serious problems. An “acrotelm”, the upper living layer, that has a relatively high water permeability and a variable water content. This is rich in peat–forming aerobic bacteria and has a live matrix of growing plant material. Most of the water flow in a peat bog takes place within this living acrotelm layer. The blanket bogs of the western seaboard of the Northern Periphery can develop water “pipes” within the catotelm. These pipes usually start life as underground water flows on the mineral surface under the peat and can subsequently develop into significant sub-surface watercourses of up to 1 metre across. If water pressures build up within these pipes they can collapse, causing bog-bursts and peatslides on slopes. 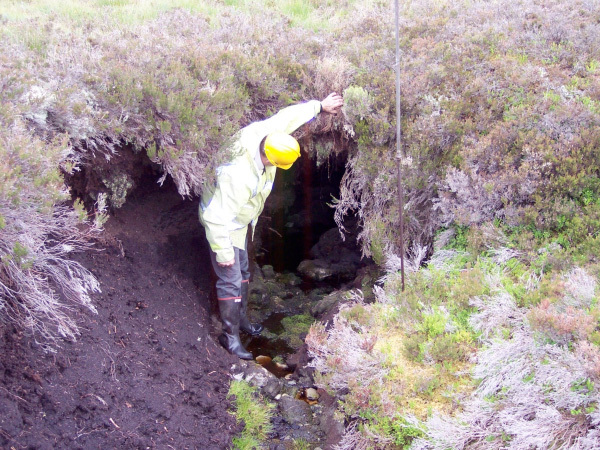 Loadings on the surface of the peat can also contribute to the collapse of these underground pipes and this should be borne in mind when constructing on blanket bogs. A scoping study to establish the significant issues that need to be addressed focusing on the environment – the hydrology of the peatland, its flora and fauna, the presence of watercourses, drainage, etc. An environmental impact assessment of the proposed road – how the construction of the road might affect the existing condition of the peatland, and what measures could be taken in the short, medium and long term to mitigate or lesson its effects, especially the existing hydrology, pollution prevention and road drainage arrangements . Mitigation – the measures and practices proposed to avoid, reduce, or remedy the identified adverse effects, and enhance the positive ones. In addition to the environmental impact assessment there is now a growing requirement for geotechnical risk management for road projects involving peat to further protect the fragile peatland environment. An important consideration in this is the risk of increased peatslide caused by the construction of the various elements of road infrastructure. The principles of geotechnical risk management are discussed in Chapter 4. ROADEX recommends that the maintenance and rehabilitation of existing roads should be treated in the same way for environmental impact as the construction of a new road. The presence of the existing road in the landscape should make the assessment slightly easier however as it will already be an established feature in the landscape. The existing road will also be able to provide indications of how the new works will impact on the environment. Environmental agencies generally require that peat excavation and disturbance should be minimised wherever possible to prevent the unnecessary production of waste soils and peat. If less peat is generated, less waste controls will generally apply. 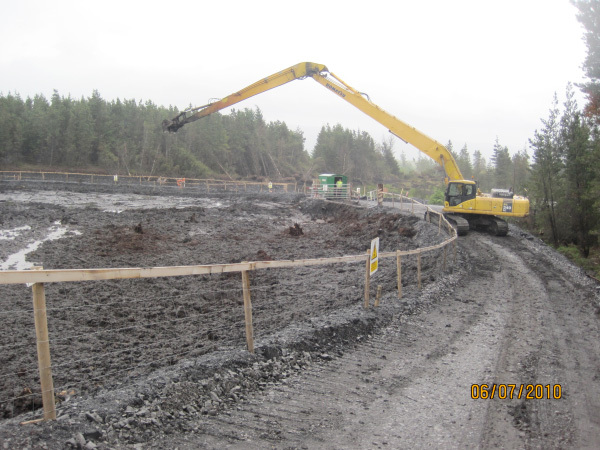 The best management option for waste peat is to prevent it being produced through good planning and site investigation. 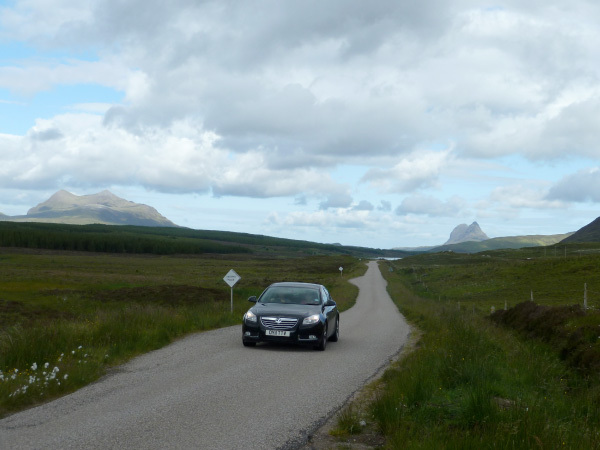 An aim should be to re-use as much of the peat as possible in the road infrastructure, e.g. in landscaping, and so avoid waste being created. The storage of peat on site, and in particular the storage of peat slurry, should be a last option. Excavated peat has a low bearing capacity and high water content, and when stored in peat storage areas can pose real dangers to people and animals. Storage areas should therefore always be fenced. They may also be required to have approval and/or licences from the local environment agency. 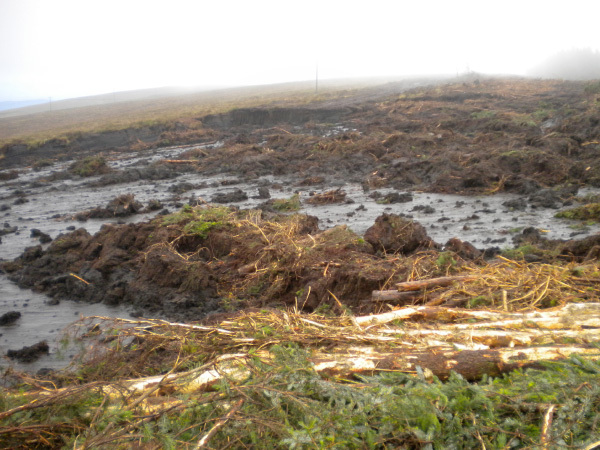 Peat can have a devastating effect on streams and watercourses if gets into them. Great care should therefore be taken to prevent peat washouts from road workings or storage areas to ensure that any accidental escape does not cause environmental pollution. elevated water contents in the peat from seepage, groundwater flow, flushes, pipes or streams. An additional condition that has been seen to contribute to the potential for peatslide is the presence of a convex slope downhill of the event. This has been identified as an underlying reason for major recent peatslide events in Ireland. Deposition of peat can induce failure.